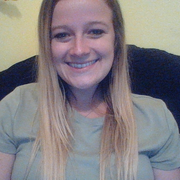 I am a Psychology Major who loves working with and improving the lives of others. I became involved in working with children around the age of fifteen. I have nannied for a family with two children, one at the age of three and the other at the age of eleven. I have also been an active volunteer at a domestic violence center for women called Women's Advocates. Here I am able to watch over and spend time with the children of families who have experienced domestic violence in order to ensure that the mothers can have a break each week. I have been trained and have received a certificate in Mental Health First Aid.